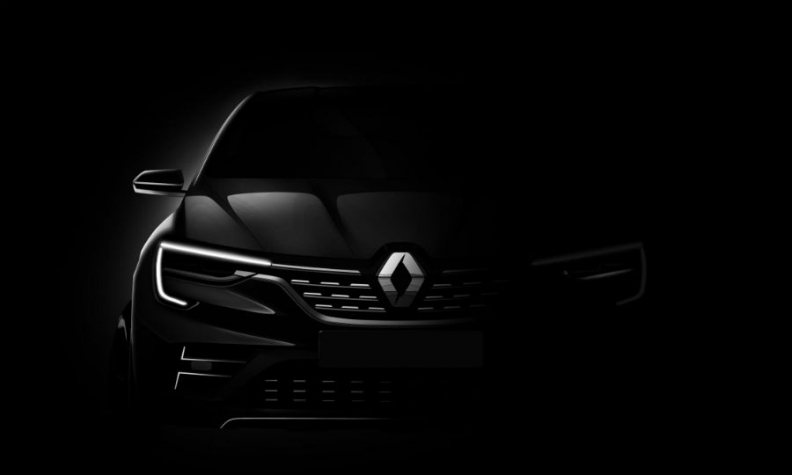 Renault's teaser pciture shows a coupe-like roofline. PARIS -- Renault will display a pre-production version of a new compact crossover at the Moscow auto show in August. The model will strengthen Renault in Russia in a promising, fast-growing segment, the automaker said in a statement. The crossover is reportedly a derivative of the current Kaptur, which shares its B0 architecture with the Dacia Duster. Details and specifications will be available at the Moscow show, which starts Aug 29, Renault said. The model will be built at Renault's factory in Moscow and will go on sale first in Russia. The factory has an annual capacity of 180,000 vehicles. Models produced there include the Kaptur (not sold in Europe), a Renault-badged Duster, and the Nissan Terrano (also a rebadged Duster). The Kaptur and Duster/Terrano are part of Renault Group’s low-cost Global Access range. CEO Carlos Ghosn has set a target of 2 million Global Access sales by 2022, or 40 percent of the group’s total, up from 1.4 million last year. Renault's vehicle sales in Russia rose 18 percent to 57,277 through May, making it the No. 4 brand by sales after Lada, Kia and Hyundai, according to data from trade group AEB. The Renault-Nissan-Mitsubishi alliance holds the leading position in the market, with a 33.9 percent share with its Lada, Renault, Nissan, Datsun and Infiniti brands. Overall, the Russian market has grown by 20 percent to 692,870 units this year as sales rebound after falling by half after a peak of 3 million in 2012.